To complete your visit we propose a tour around Modernist Barcelona. 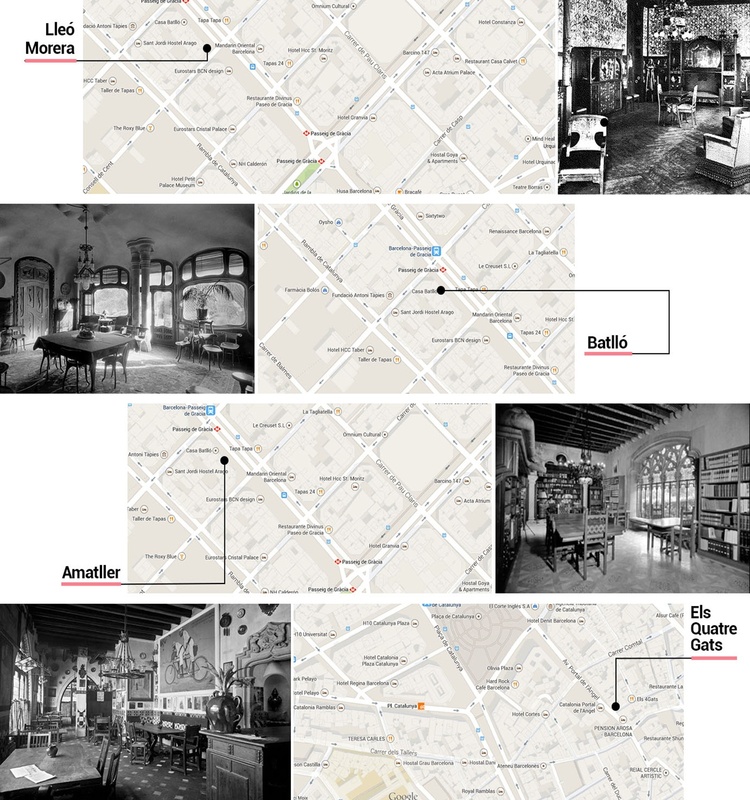 With this tour you will find out more about the major architectural works such as the Casa Lleó Morera by Lluís Domènech i Muntaner, the Casa Batlló by Antoni Gaudí, the Casa Amatller by Josep Puig i Cadafalch or the restaurant Els Quatre Gats, a venue of reference for intellectuals and artists of the time. 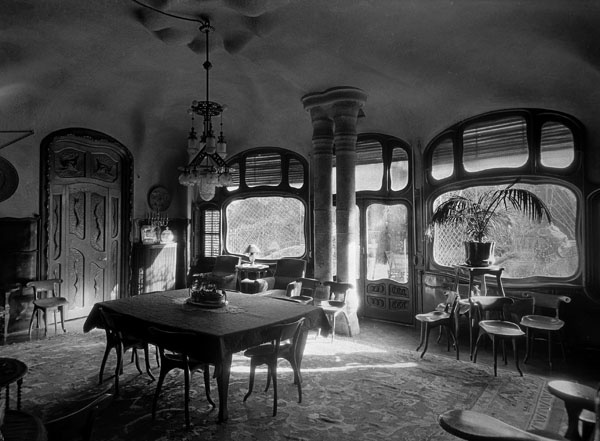 The main floor of the Casa Amatller, at Passeig de Gràcia 41, was decorated by Puig i Cadafalch, charged with transforming the whole of the old building that had been bought by the industrial chocolate producer Antoni Amatller i Costa between 1898 and 1900. 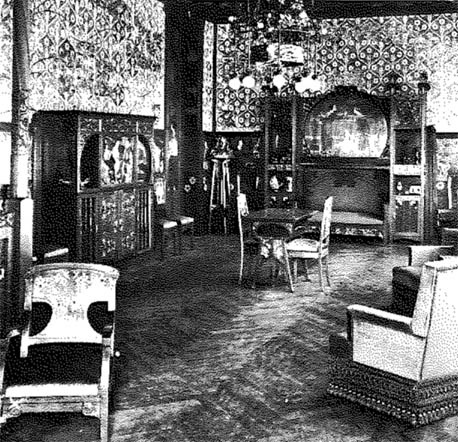 The architect and decorator at the same time took care of the lights and the furniture, among which the bench, the light on the ceiling, the clothes hangers, and the pedestals constructed to accommodate the precious collection of crystals of the owner, exploit to the maximum the potential of the decorative arts. On the furniture the laborious cutting procedures shine out, with motifs in the form of clovers, and the characteristic openwork of the ornamentation, which recreated the Gothic art. The whole building is an example of how far the shapes of Modernisme are fixed in tradition. The exterior shape is also a personal understanding of the Gothic and of the palaces of the Netherlands. In the lobby of the Casa Amatller, furthermore, we find a decoration that reminds us of the Plateresque and Moorish styles, with the lamps and windows. This unity between the interior and exterior demonstrates one of the strengths of all Modernist decoration: the understanding between decoration and architecture, which created the sensation of a unified setting. 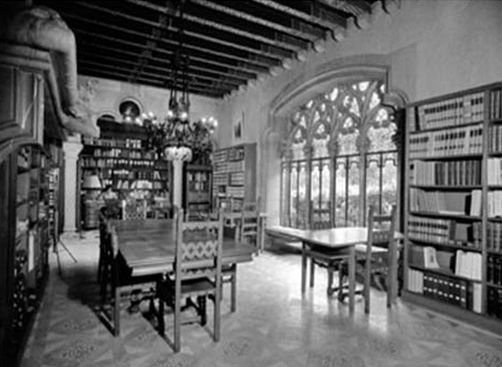 Also called Casa dels Ossos (House of the Bones) or dels Badalls (House of the Yawns) the Batlló house, at Passeig de Gràcia 43, is widely represented in the museum, where the original doors and furniture, made in the workshop of the cabinetmaker Casas i Bardés, following the guidelines of Antoni Gaudí, are conserved. The undulating, sinuous and biomorphic shapes of this decoration already form part of contemporary art. Josep Batlló, owner of the building, asked Antoni Gaudí to reform the existing property. Gaudí constructed a main floor with independent access, rebuilt the staircase and interior courtyard, which he covered with blue and white tiles, as well as covering the old façade with a new one with trencadís (small broken tiles) or fragments of coloured glass. He also placed new railings on the balconies, a gallery on the main floor and crowned the house with a double roofing. In short, it makes the building look like a work by Gaudí. 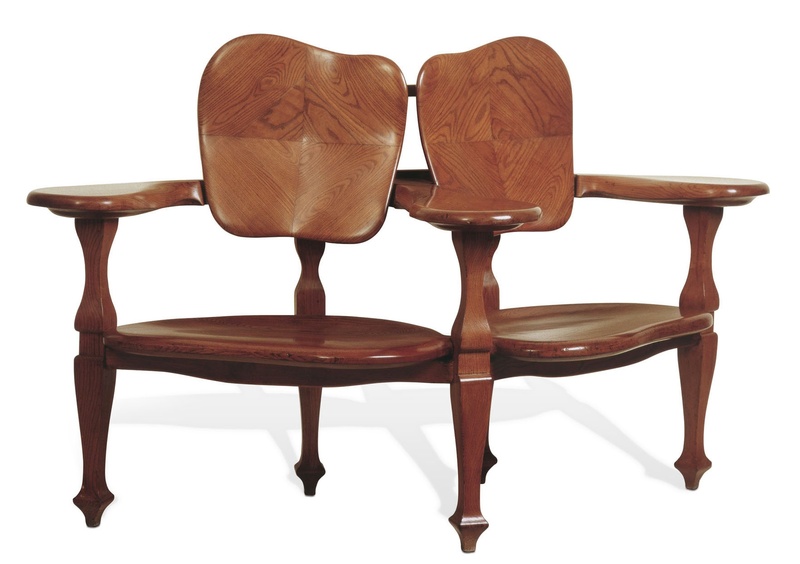 In the furniture, Gaudí opted for essential lines, devoid of superfluous elements, based on materials such as wood, with its natural veins rich in textures. This Two-seat sofa, with the rounded shapes that adjust to the shape of the human body, brings together all these attributes in an example of the inventive capacity of the architect. The doors are also a good example, richly cut spirals, ridges and broken bits. Considered by the bourgeoisie of Barcelona as one of the biggest signs of economic potential, painters and sculptors entered the world of jewelry to treat it like a work of art. The jeweler, Lluís Masriera (in Catalan), also a painter, is one of the essential artists from the period. 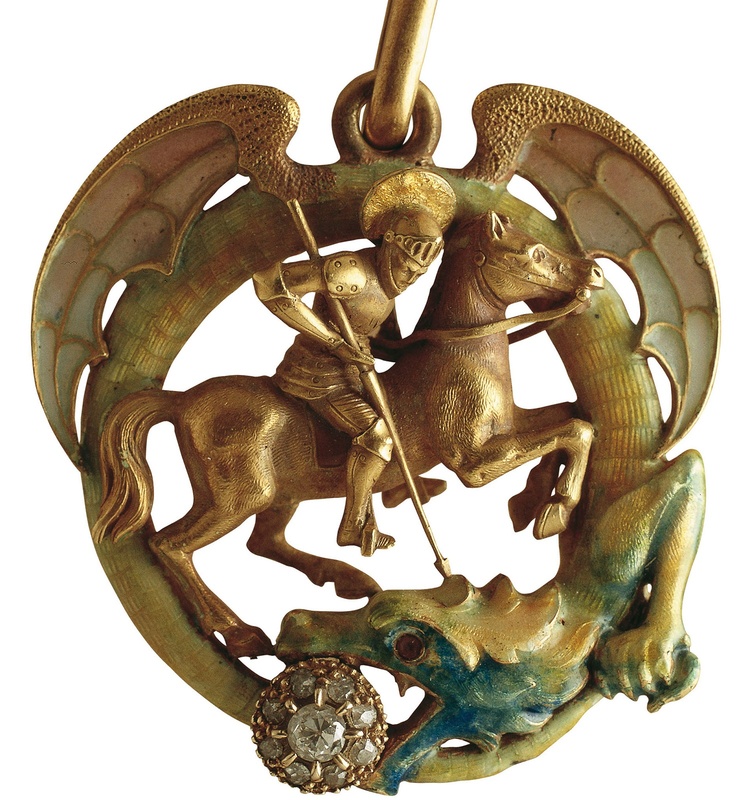 At the beginning of the 20th century, Masriera took on the artistic management of his family workshop, familiarising himself with the secrets of enamel and incorporated elements from the Art Nouveau: flowers, birds, dragonflies, Japanese influences, nymphs, and also the figure of Saint George, the patron saint of Catalonia. With regard to the materials, Masriera used a base of gold, which enhances the colours of the precious stones, such as rubies, sapphires and diamonds. His translucent enamels with very fine reliefs are characteristic. 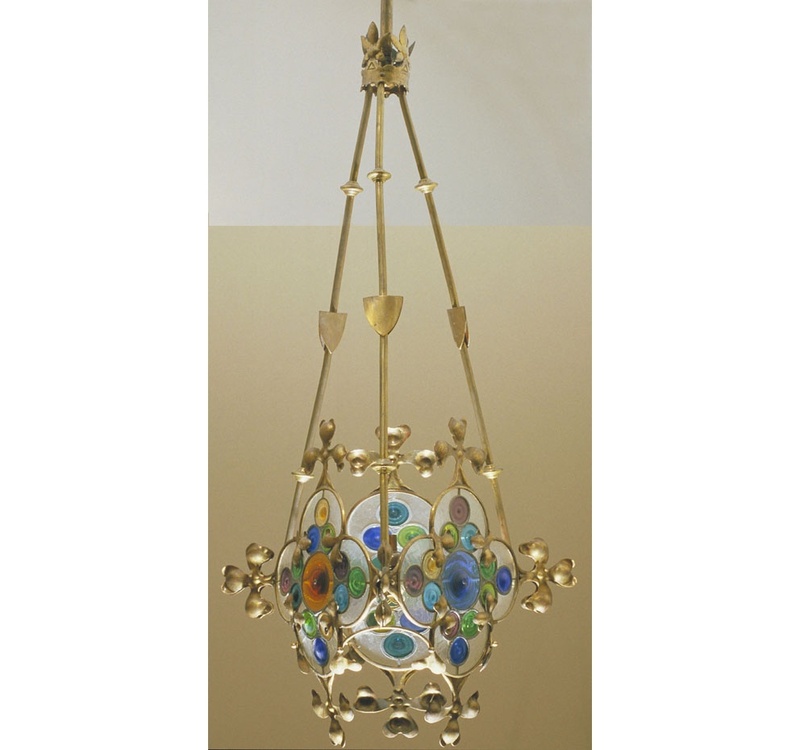 The Modernist jewels present the usual characteristics of this movement: freedom of composition, curved lines, polychromes and the role of the flower, fauna, and feminine figures. In the Masriera workshops the elaboration process of the jewels, many of which were articulated and adapted to the body of those who wore them, combined the craftmen’s procedures with a degree of mechanisation in the creative process, repeating models, to reach different social levels. Leisure and social life are two of the ambits most looked after by the Barcelona bourgeoisie. The cafés and other venues that emulate the most prestigious French saloons become centres of great importance for the development of an art that, in part, responds to these needs. The Passeig de Gràcia lived its most splendid moment during the Modernist period and that is where the cafés and theatres emerged, the high bourgeoisie made it their cosmopolitan boulevard. The Maison Dorée, the Cafè de la Lluna and the Cafè Torino, are good examples. 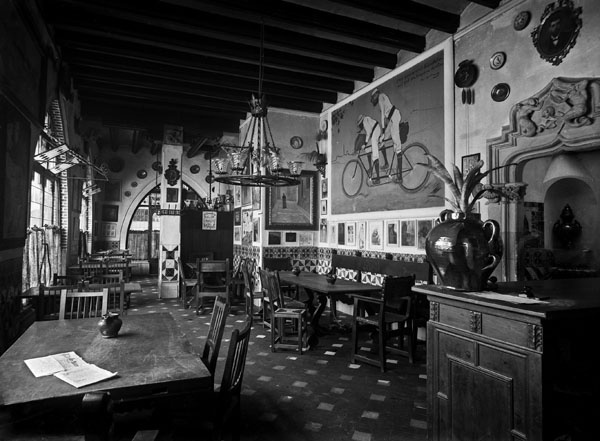 Some of these premises are also a reference for intellectuals and artists, such as Els Quatre Gats, for which Picasso himself designed the menú. In its decoration, neogothic elements are mixed with more popular ones, such as plates, tiles and pottery jars. 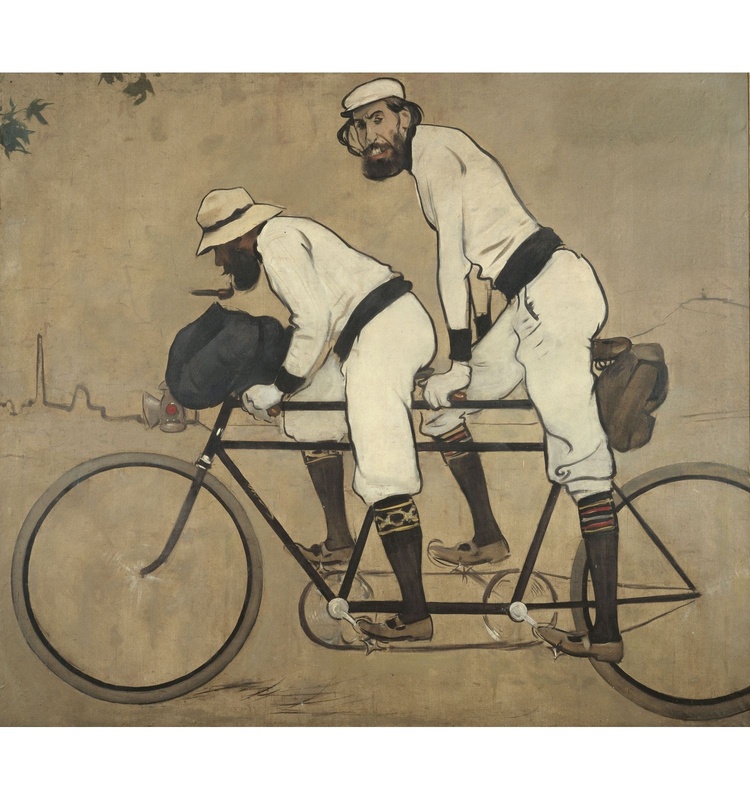 The large quantity of paintings that decorate the bar, among them the Tandem by Ramon Casas, round up the image as the establishment as an icon that could sum up the whole of Modernisme. After a few years, at the end of the first decade of the 20th century, this framework would radically change, and Modernisme received bitter criticisms, in the name of the return to good taste and the good name of the city. The houses were redecorated and the objects that were considered sumptuous were put away in a corner. Voices even emerged that demanded that these constructions, which until then had been the symbol of the bourgeoning bourgeoisie, be knocked down. One period came to end while another started out. Some of the bourgeois homes of Barcelona are the settings for the production of the best artists of the time. Throughout the day everything from business meetings to family visits were held. The perfect social showroom. This explains a certain exhibitionist luxury in certain interior spaces. A large dwelling full of paintings, sculptures, porcelain, rugs, curtains and other ornaments. The work of the corresponding maintenance becoming essential among the household tasks. The atmosphere of the bourgeois domestic life is not possible to understand without the new worship of objects, to which the Modernist artists would incorporate the new taste based on the recuperation of traditional craftwork. In this way they would take advantage of the major popularity of these complements, from jewels to small decorative objects, which evoked the sensual ambience of the end of the century. A privileged setting of Modernist architecture and interiors can be found in the Passeig de Gràcia, where the wealthiest families of the city settled. Here it is worth highlighting the well-known “Mançana” (or Block) of the Discord, that groups together the Casa Lleó Morera, the Casa Batlló and the Casa Amatller, presenting, respectively, the architects Lluís Domènech i Montaner, Antoni Gaudí and Josep Puig i Cadafalch. 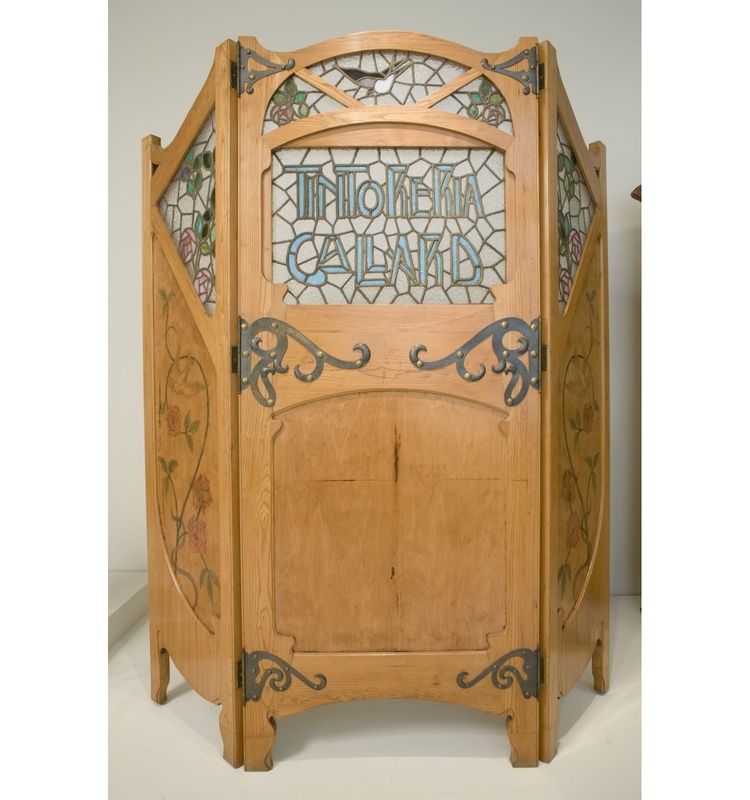 Modernisme is, within the Catalan artistic context, the movement that in France is known as Art Nouveau, in Germany as Jugendstil and in Austria as Sezession. 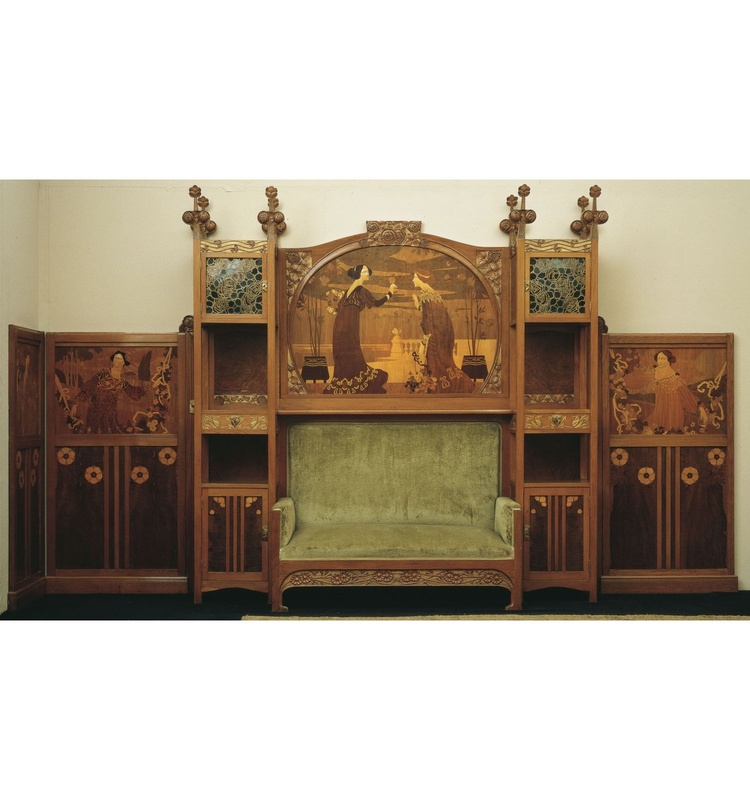 Despite the popularity of the painting, architecture and sculpture, in Catalonia Modernisme is especially notable for the decorative arts, in overcoming the distinction between art and craftwork. Even though the Catalan creators naturally assimilate the influence of everything done in Europe, thanks to international trips, fairs and exhibitions, and publications about decoration and architecture, Modernisme has its roots here with its own personality and its own accents. The huge constructive activity of Barcelona after the International Exposition of 1888 led to a golden period for architects, which became multidisciplinary and was surrounded by artists and craftsmen: glassmakers, carpenters, mosaicists, etc. Architecture was no longer just a building project or the designing of furniture, but also dishes and cutlery. Under the Modernist stamp, the designs, often inspired by models provided by nature - an inexhaustible mine of aesthetic resources, would take over all the spaces of everyday life. The artistic industry exhibitions organised periodically since the end of the 19th century stimulate the relations between art and industry. Based around the National Exhibition of Artistic Industries of 1892, the centre for decorative Arts was created, in the image of the Union Centrale des Arts Décoratifs of Paris. 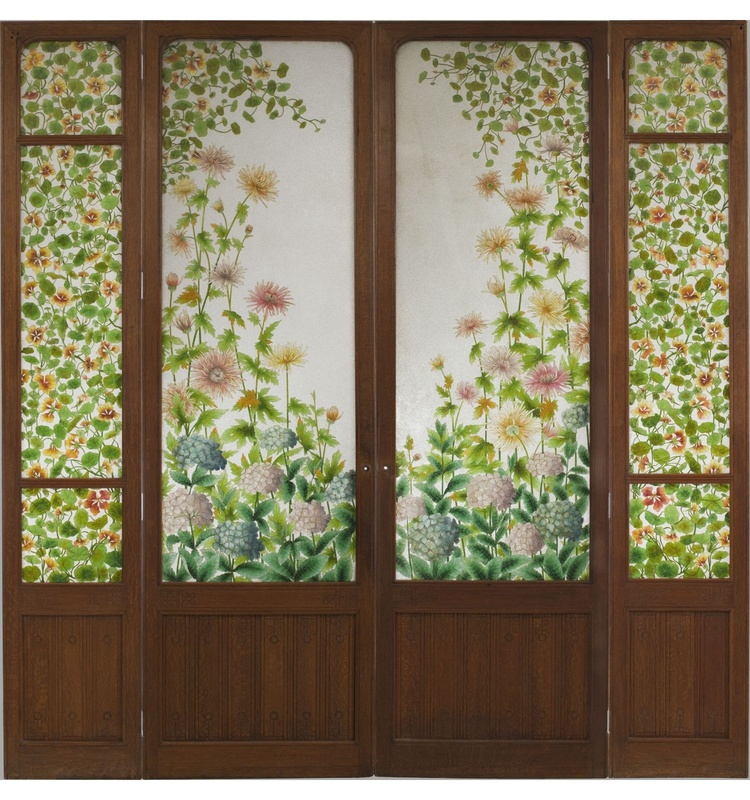 This entity, part of the future Foment de les Arts Decoratives (FAD – Promotion of Decorative Arts), comprising a good list of artists who would be key figures of Modernisme. 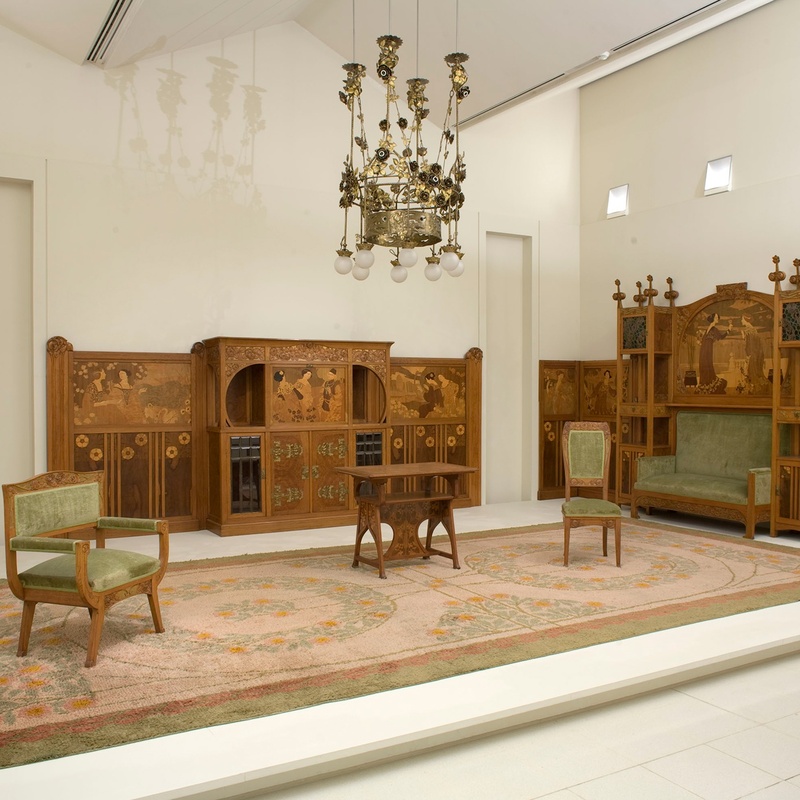 They are also important artistic industry workshops, led by the furniture maker Francesc Vidal (in Catalan), in which artists were trained in different branches of the decorative arts. The importance of this culture of workshops becomes evident with initiatives such as the Castell dels Tres dragons, in the Ciutadella, set up by the architects Domènech i Montaner and Antoni M. Gallissà (in Catalan), in the restaurant of the International Exposition of 1888: the traditional trades are experimented and perfected, such as ceramics, forging or stained glass. Other major expositions, such as the Universal Exposition of Paris of 1900 or the international expositions of fine arts, are motors which boost and foster this activity, without forgetting the activity generated by the artists’ workshops.